Surrounded by lakes, hills and fields of planted corn and potatoes, Otavalo lies at 9000 feet above sea level in the northern Ecuadorian Andes, at the foot of the volcano Taita (Father) Imbabura. Approximately 50,000 indigenous people live in this rural community, producing cotton, cereals, sugarcane, potatoes, fruit and livestock on small, privately owned parcels of land. The indigenous Otavaleños are famous for woven textiles, usually made of wool or cotton, which are sold at the Saturday market. Work is done in an extended family structure in the homes of the artisans. 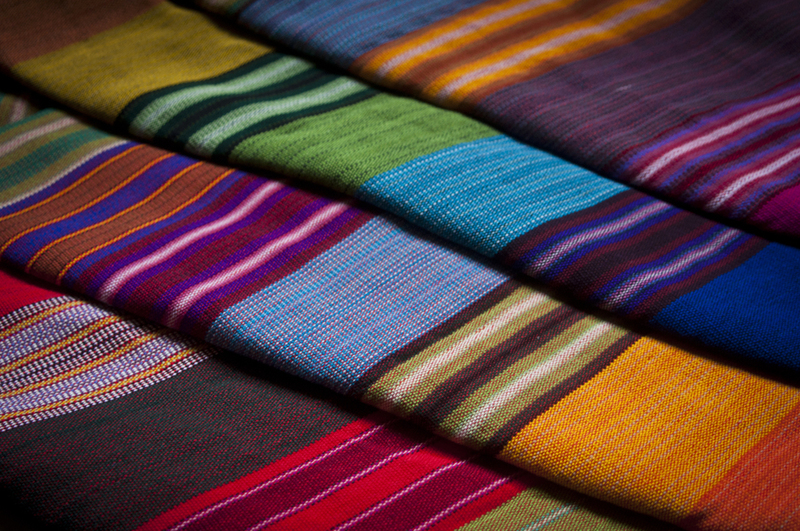 These Ecuadorian textiles have been brought directly to Canada from the artisans in the Ecuadorian mountains by MamaQuilla’s partner, Inka's World. Inka's World is an Ecuadorian family-owned company representing a cooperative of over 300 families in Otavalo. Inka’s World practices fair and ethical trade philosophies that help Otavalo’s native artisan families build a sustainable future and preserve a cultural tradition thousands of years old.